When contacting Mangroomer to see if they had anything available to review they mentioned they had new products and would love for my household to try them. I love trying New products out and sharing my honest opinions with others and the company. 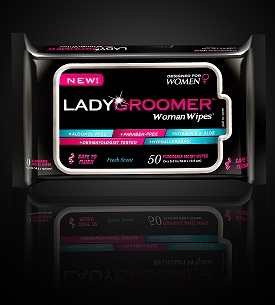 They sent me out their NEW Lady Groomer Woman Wipes and Man Groomer Biz Wipes to try. This pertains to both packages: 50 flushable wipes come in a resealable pouch- I really like the resealable pouch, it seals it up tight and they won’t dry out. They are alcohol-free and paraben-free, contain vitamin E and Aloe, dermatologist tested and hypoallergenic. They both leave you feeling clean and fresh. You can use these for more than flushing after doing your #2 biz. You can grab one and freshen’ up after a long sweaty day at work or before intimacy and after. I even used one on my face and it took my makeup off great. It didn’t make my face dry up like a lot of facial wipes do. We both really like the smell of the men’s Executive Biz Wipes. Our only complaint about these products is that they are too wet. We have to use toilet paper after using them to soak up what the wipes left behind. 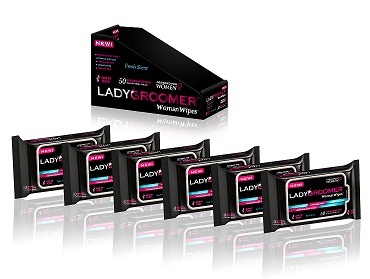 WomanWipes™ by LADYGROOMER™ are flushable ultra-soft feminine hygiene towelettes with a fresh feminine scent made to keep you feeling fresh and clean all day long. Specifically designed for women, use Woman Wipes in addition to toilet paper to effectively clean and eliminate any unwanted residue. Woman Wipes are dermatologist tested, hypoallergenic and are free of parabens and alcohol. Vitamin E and Aloe added for an ultra-soft soothing feel for sensitive skin, plus fresh feminine scent. Made in the USA. Maintain Yourself with Woman Wipes! 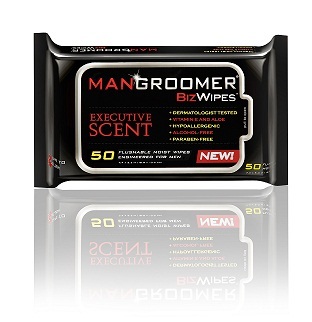 BizWipes™ by MANGROOMER® are made to keep you fresh and clean all day long. Specifically formulated for men, use BizWipes in addition to toilet paper to effectively clean and eliminate any unwanted residue. BizWipes are also great for freshening up the male intimate area after a long day at work, or after a workout. Flushable and Made in the USA. Maintain yourself with BizWipes™! If you buy them right now you can grab 6 packages for $26.90, free shipping. If you break that down it makes it $4.48/pkg and .09/wipe. If you are not satisfied they will refund your money! When you get yours make a commercial with your Groomer Wipes and submit it on youtube and send them the link. You will have a chance to win $5,000, $3,000 or $1,000. The contest ends December 31st. Watch for a giveaway to win some Groomer Wipes of your own! Disclosure: I received this product for review purposes and was not paid. The opinions are my own and yours may differ from mine.